We got a sneak peak at Canvas Salon & Gallery which is opening their spankin’ new location at 9520 Main Street in Clarence. 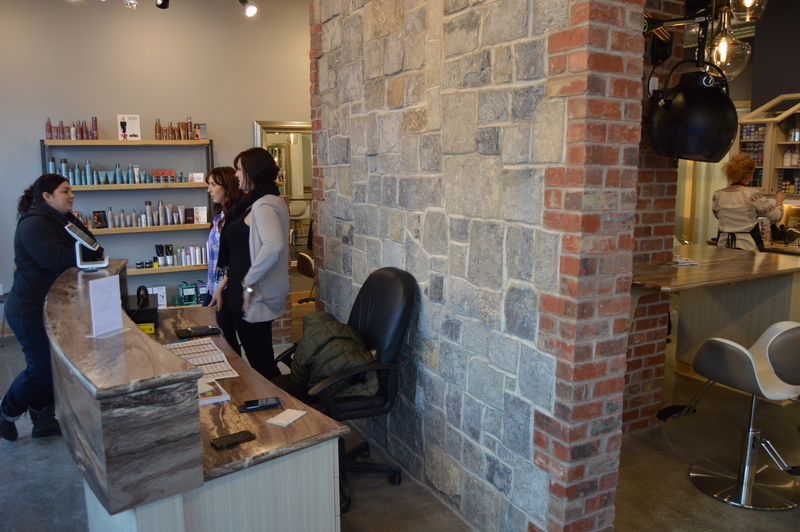 The salon is the first business to open at Willow Square at the corner of Main Street and Goodrich Road. 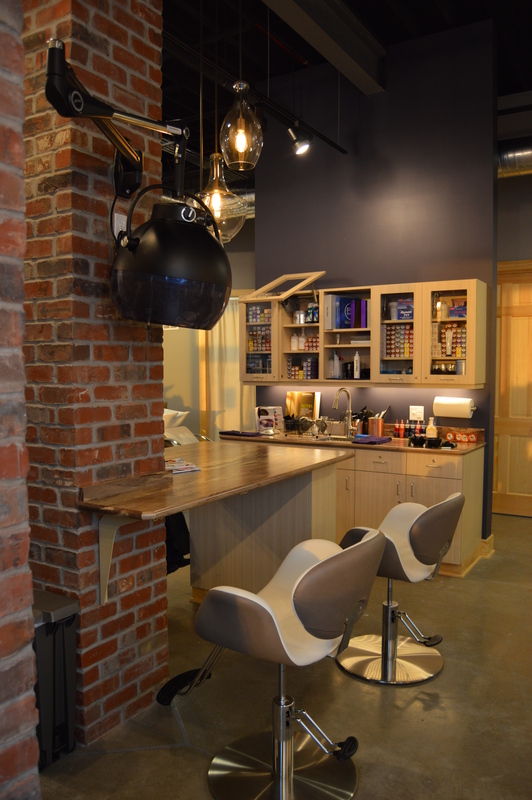 Canvas Salon & Gallery is well-designed space that has industrial design elements of brick, cement floor, and exposed ceiling. 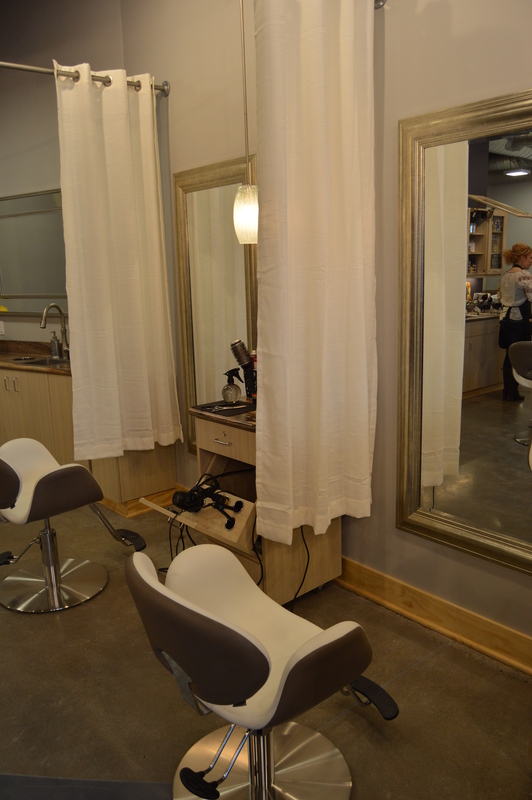 Like the name of the business, Canvas is both a salon and a gallery. There is ample wall space that will be utilized to host artwork of regional artists. Ellicottville artist Sean Huntington will be the first artist featured at Canvas, with a exhibition opening slated for March 20. 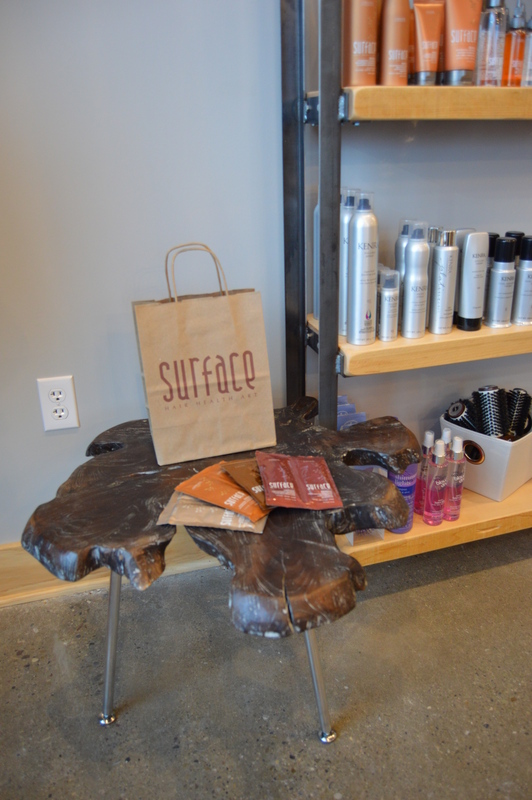 We will be featuring Canvas Salon & Gallery in an upcoming Discover Main Street video in the upcoming weeks. Canvas is open five days a week (Tues through Sat.). Visit their website here. Previous Previous post: Fun for all children at Sweet Charlottes.